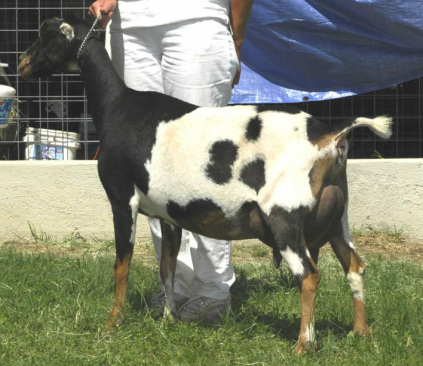 Spot is a little dynamo and had a great show year in 2009-10. She brought home 5x1st place wins ! One judge made the comment that Spot shows that "good things do come in small packages" !! 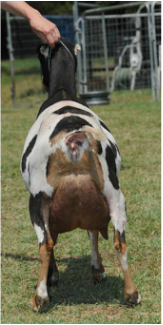 She oozes dairy character, and what she lacks in stature, she makes up for with an absolutely PERFECT udder. She has also done two extended lactations with ease ! 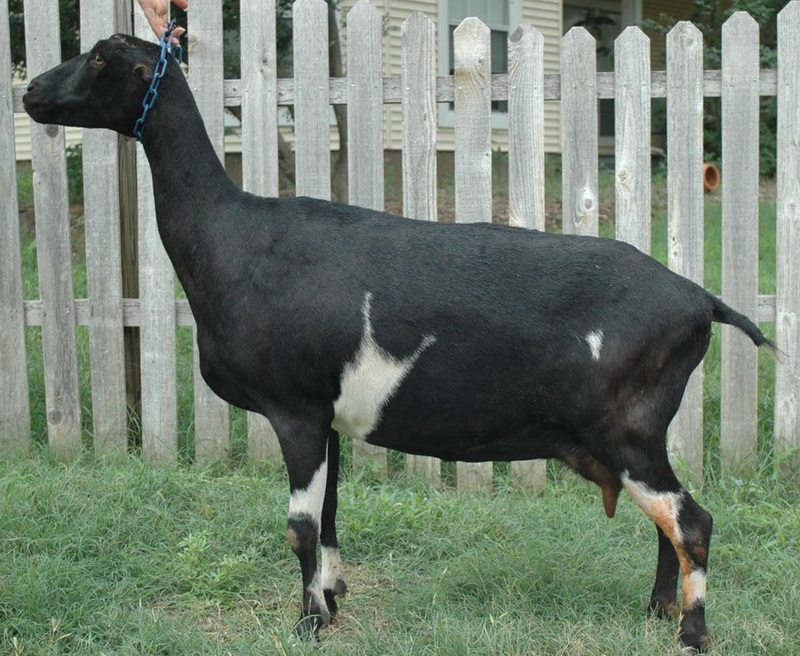 While she herself has not gotten her Championship, she is probably the most correct and promising lamancha in our herd. Her daughters (BadaBing! & Shy-Ann) both easily finished their championships...and Shy-Ann is now our very first SGCH. 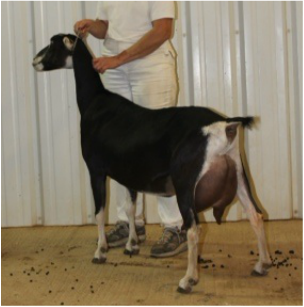 She has given us a final doe kid in 2016 sired by GCH Latte Da DX Solan (JadaJing) and Spot is now retired.